Rack-A-Tiers Molded air channel suspender in black color, has nylon strap construction for added durability. 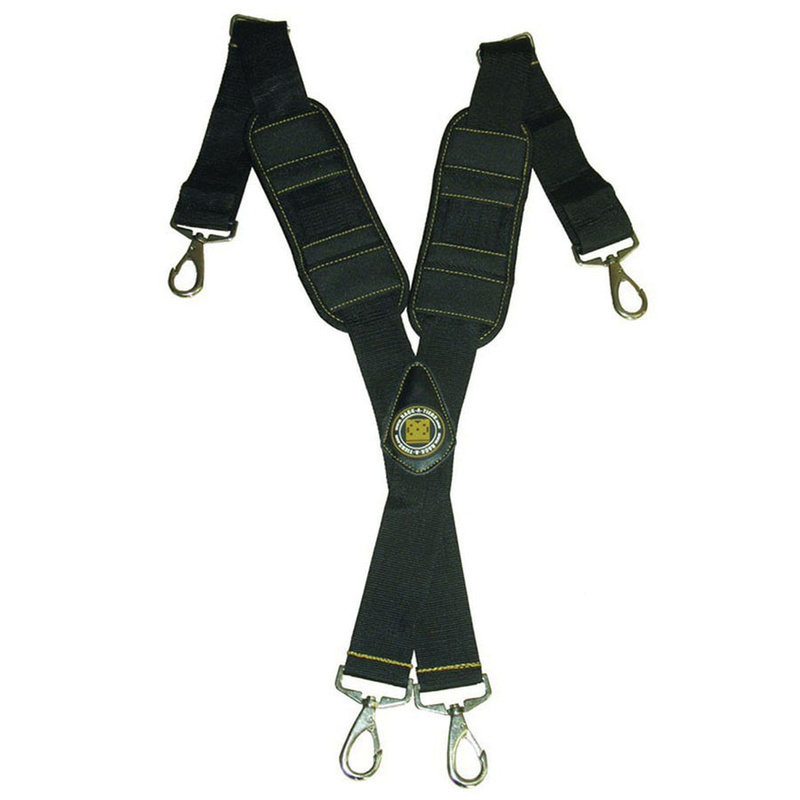 This suspender is padded and offers comfort feel on shoulders by securing equipment. It has heavy duty spring hooks that easily attach to the rings on the molded Air-Channel belts.